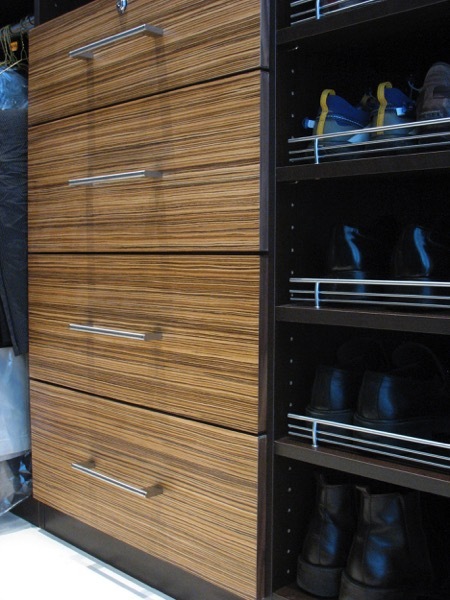 As a specialized niche’ with the bigger design/build pie, closet design has its own special merits. 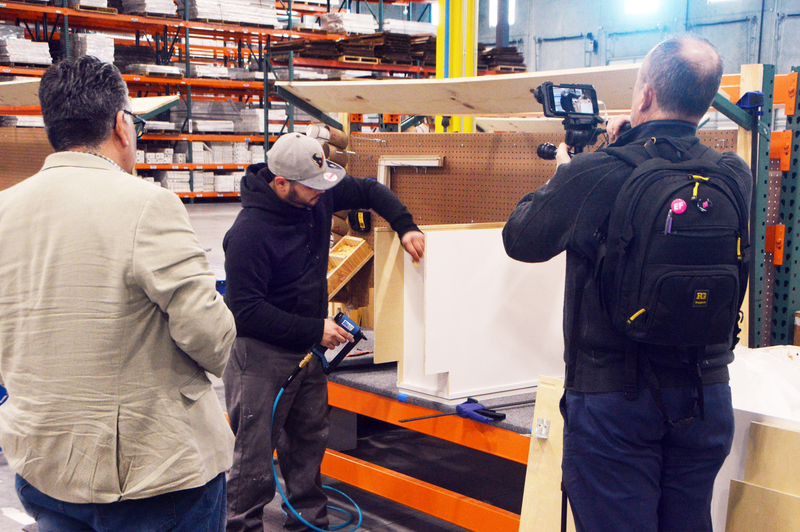 Most professionals can quickly understand that when designing and installing simple closet systems, you don’t build boxes, you share panels. And the industry standard is that you don’t put backing in a closet system. 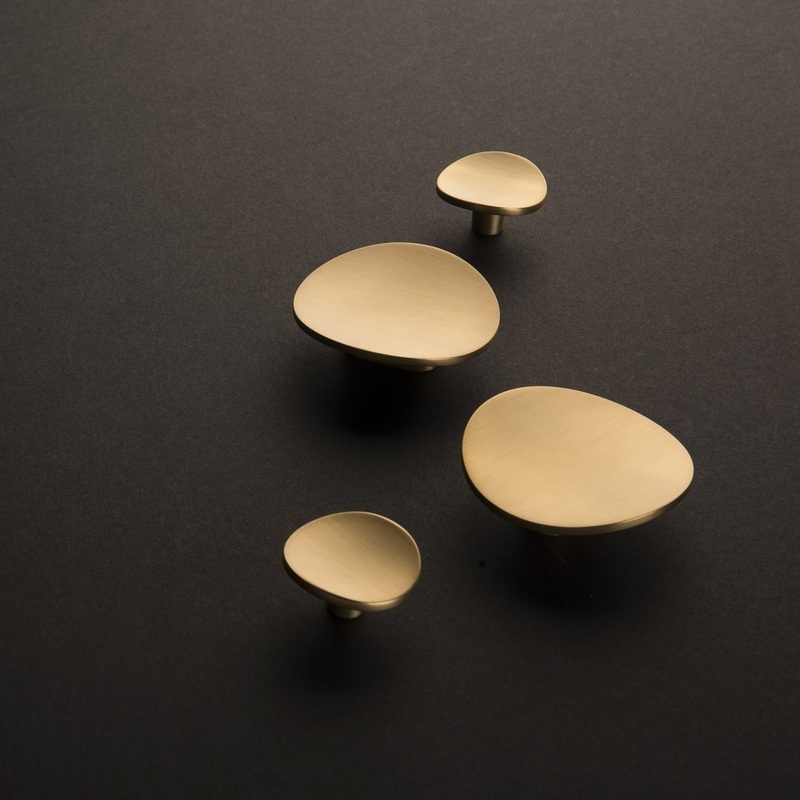 You also understand that the standard toe kick is 2-1/2” (264 millimeters), the standard system height is 84” and shelves are designed for above hanging, not below. But do you know why these “standards” are practiced by closet companies nation wide? Most came about because of efficiencies in manufacturing. 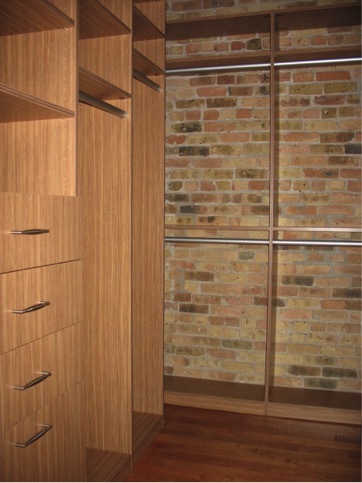 Installed closet systems were driven by efficient manufacturing and installation considerations. And that’s from the early 70’s when California Closets took us beyond a standard rod and shelf and into double hang, long hang, drawers and shelving. And many of those principles are still valid and practiced on a daily basis. However, today’s consumer is much more sophisticated and is big, big, big (did I mention big?) on “using every inch of space.” I can’t remember the last consultation I was on where the customer didn’t mention that. So being able to explain the logic and practicality behind the industry standard practices is a valuable key to a successful sale. Explaining to a 5’ 1” client that the reason we use a 2 ½” toe kick is to allow her to reach the top rod of the double hang builds confidence that you’re the expert. And explaining the differences in costs and functionality between “boxes” (cabinets) and “parts” (closet systems) is another great confidence builder that leads you closer to closing the sale. This is just a snippet of the insights and concrete info that I share in the course “Closet Design 101." And while you’ve been able to go through this course at your own pace “on demand” I’ve decided to teach the “live” version in May. This is the best opportunity out there to not only get training on how to design and sell closets, but ask me questions and benefit from the group dynamic. I promise you an awesome experience that will hold value for the life of your closet career. However, I love getting to know the people I work with and train, so I’m happy to clarify things for you. I’m also happy to offer you a $100 discount off the price. You can also reach me via email at: Denise@ButchkoandCompany.com. Well, that's one way of looking at closets. It's also a proven way, since the industry has operated for about 20 years producing millions of installations. But it's also how to minimize cost by sacrificing proper design and stability. Sure, you can share panels, and eliminate backs. Sure, you can use melamine surfaces over particleboard. Sure, with no experience in building or understanding cabinetry construction or design, you can open a franchise sell the heck out of these products. And most melamine closets look great. When first installed. But just as most knowledgeable cabinet builders / manufacturers would not recommend clients using particleboard in a kitchen or other high-use / high-abuse setting, those same builders / manufacturers would not want melamine and particleboard in their own closets (given a choice). I submit that most melamine installations I've seen - and I've been doing solid hardwood & veneer closets since 2003 - do not represent a good, long-term investment. I can't begin to count the number of systems less than 5 years old that have loose screws, de-laminated edgeband, and other problems. Couple that with franchise owners who do not know how to hire and train good installers capable of finding wall studs, and the whole sphere of melamine closets becomes a bit of an illusion. Given the cost of these systems vs the quality I and others have been able to deliver with conventional design, materials, and construction, I'm not so sure the public has been well-served by the average closet company. By the way, pull-down rods can provide access to upper hanging for the 5'1" woman, regardless of toe kick height. In a constant effort to upsell, many franchisees seem to want to include these pull down rods, regardless of accessibility needs. Anything to increase profit! Client needs are often somewhere down the list. Perpetuating the idea that common melamine closet design is "good" does not serve the public's best interest.